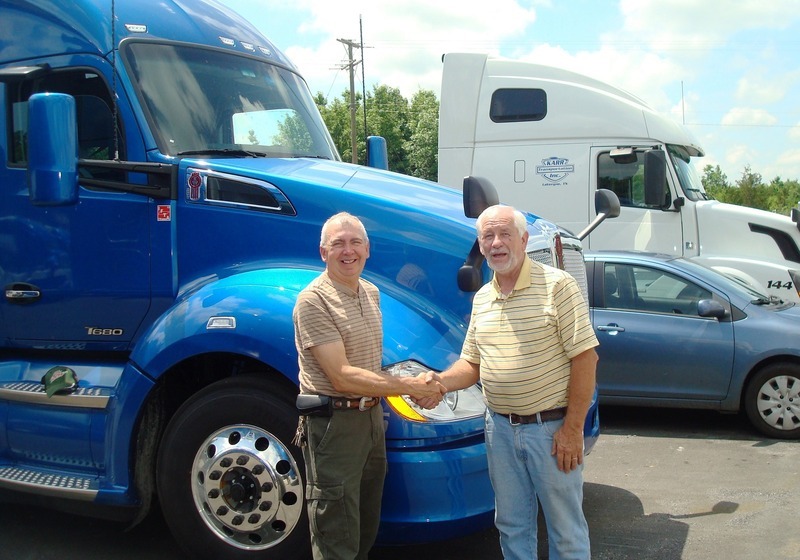 June 14, 2015 - KARR Transportation Rewards Driver! KARR Transportation likes to take care of and reward our senior drivers. We like to move them into new vehicles when available. After years of loyalty to his Volvo David has moved into one of our brand new 2016 Kenworths with automatic transmission, refrigerator, blue tooth & an XM capable radio! Thanks for your hard work & dedication David!